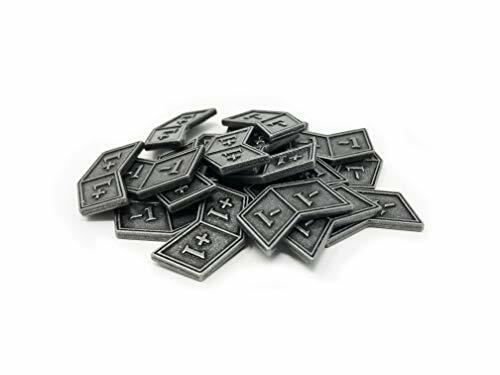 These gamer accessories work for any collectible Trading Card Game (TCG), but just because it’s the most popular example of the genre, Magic: The Gathering (MTG) is the focus. But if you’re playing Yu-Gi-Oh, Pokemon, or some other of the endless list of card game genres out there (there’s one based on Austin Powers, believe it or not), all these accessories work for those too. Quite a few of these are also handy for Dungeons and Dragons (D&D), and other general table-top games as well. And what card gamer doesn’t need these? The Present Author confides that I’m a Magic: The Gathering nerd from way back, and before I got into a sizable collection, I didn’t see the point to a lot of these items. It isn’t until you’re gaming on a weekly basis, year ’round, that these accessories prove how handy they are, and now I consider every item here to be indispensable. TCGs are arguably one of the most perfect game formats ever created. They allow for strategy with just the right element of luck, creativity in building a deck that utilizes different methods of winning, an endless variety of play archetypes, and, at least in the case of long-standing popular games, have an almost infinite number of cards to hunt down, research, and acquire. By the time you have a few shelves full of boxes and binders of cards, it becomes a satisfying hobby in its own. There’s always something to organize and inventory, good busy-work for a rainy day. It’s also fun to track the big value items in your collection, as some investments get quite profitable – MTG’s prime example being the legendary Black Lotus card, which has commanded a price as high as $100K. Even if you don’t have the Power Nine, even an intermediate collection will typically sport a solid value profile. 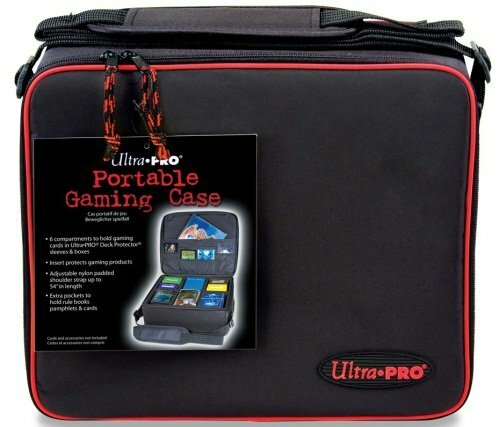 So browse our hand-picked list of accessories to enhance your card gaming experience. We’ll see you at the tables! 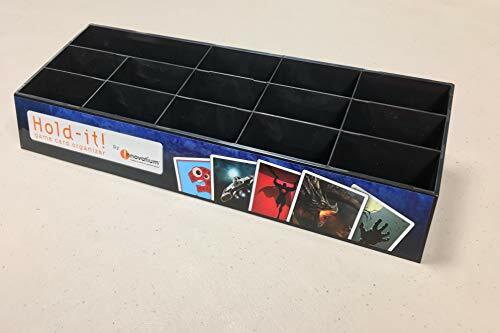 Fantastic for sorting Magic the Gathering cards. Probably one of the most time-consuming tasks in a card-player’s life, next to playing the game, is sorting your collection. You know how it goes, you go to MTG draft night or pre-release, and then come home with a new load of cards, lands, tokens, ad cards, and whatnot to sort out. This 15-card organizer will prove to be the kind of thing you might buy multiples of. You always need more than you think. You can sort white, blue, black, red, and green, but then there’s guild color pairs and then triads and then colorless… You can sit down to sort your goblin tokens and end up realizing there’s actually fifteen kinds of goblin tokens out there! MTG players move through several ranks of tracking board state: First you scratch on a pad and pen, then you start keeping several colors of dice around, then you maybe venture into mechanical counter gizmos, and eventually end up with an app open on your phone. But this is the next level after that. 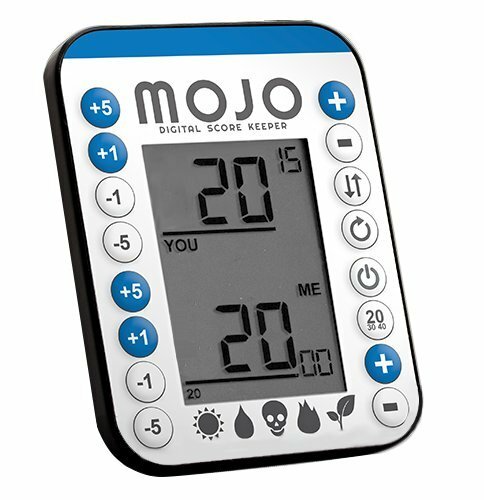 It’s a digital tracker that tracks life total, poison damage, energy, commander damage, floating mana, and more. This is the new redesign after the first versions launch from a Kickstarter. Most notably, its battery charge lasts months while your phone might have a hard time making it through a whole night of gaming. Includes extra pockets for cards, deck protectors, pamphlets etc. Showing up at a game shop, tournament, or convention for a card gamer can feel like arriving at the airport, with all the baggage you have to drag around. Gone are the days when you can have a $5 red burn deck in your hip pocket with a rubber band (those poor white-border Lightning Bolts!) and be good to go for FNM. Now you show up at Commander night with at least five decks built, so you’re prepared for a wide range of strategies. This case is the best balance between carrying capacity and lightweight, durable toting with a comfortable strap. If your card game outgrows this, just go ahead and get that airport luggage. 9 pockets per page, fits 360 cards total. Next to the other card storage needs, a card binder is also mandatory once you have enough open trades to fill one or two (or ten). 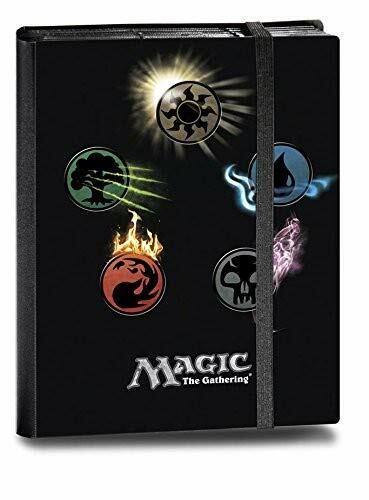 This stylish binder with the MTG color wheel on the cover is a bold, distinctive design, with enough space left on it to personalize. There isn’t much more to say about a binder, so we’ll leave you with this tip: Organized binders are more efficient to trade from. Maybe even get some tabs to put in there and break it up between sections. Anything but having to hear “Do you have Liliana of the Dark Realms?” / “Yeah, it’s in there somewhere.” for the umpteenth time. 5 bright colors: Black, White&Black, Blue&Purple, Blue&Gold, Red&Black, they have a slight pearled sheen, and gold, white and red painted lettering. Each set contains: 1 d4 dice, 1 d6 dice, 1 d8 dice, 1 d10 dice, 1 d12 dice, 1 d20 dice, 1 d% - the percentage dice. Made of acrylic - perfect and powerful material, easy to roll and hard to damage, with good polishing. Durable polyhedral dice for your interesting desktop games, customize your own D & D dice game. 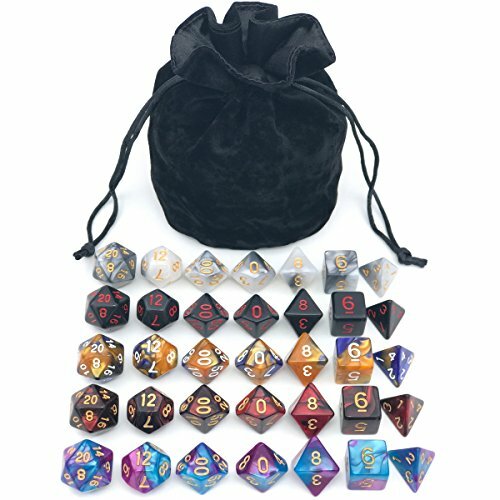 What gamer doesn’t need more dice? Dice to track board state, buffs or debuffs on units, or determine those millions of random events that come up. MTG itself has gotten to be a pretty dice-intensive game with all the “chosen at random” attributes on card text. Even the old coin-flip cards tend to be decided by even-odd rolls because who wants to dig out a coin? Anyway, we’re preaching to the choir here, so this bag of assorted Dx in five color designs might as well be your next dice purchase. They come with a drawstring bag that isn’t a Crown Royal bag for a change. Includes small velvet drawstring bag to carry the tokens - Fits inside deck boxes! This is a common need that nobody seems to think of: How to track multiple kinds of stats? Because dice on an MTG permanent is typically interpreted to mean +1/+1 counters, but what do you do about Yisan the Wanderer Bard’s “lore counters,” Bloodletter Quill’s “blood counters,” Gwafa Hazid, Profiteer’s “bribery counters,” or even some kind of way to designate that Olivia Voldaren has turned your creature into a vampire? So this bag of markers is a better solution, with +1 / +1 and -1 / -1 markers to offer a visually distinct way to track all those other obscure stats. This helps if you lack Rain Man superpowers to track all the tiny bits of data in your head.